The only indoor mini-golf in the Stevens Point Area is the perfect spot for some indoor family fun! Stop in Putt-n-Play for a game of mini-golf on their north-woods themed course, check out the arcade and grab a bite to eat. The Central Wisconsin Children&apos;s Museum has a bunch of fun for the kiddos! From the Create-It! Art Room and Good to Grow Grocery to Dorie&apos;s Stories and Healthy Heroes there are a plethora of exhibits any kid would enjoy. A fun and relaxed atmosphere at Clay Corner Studio is the perfect place to bring the kids on a cold winter day. 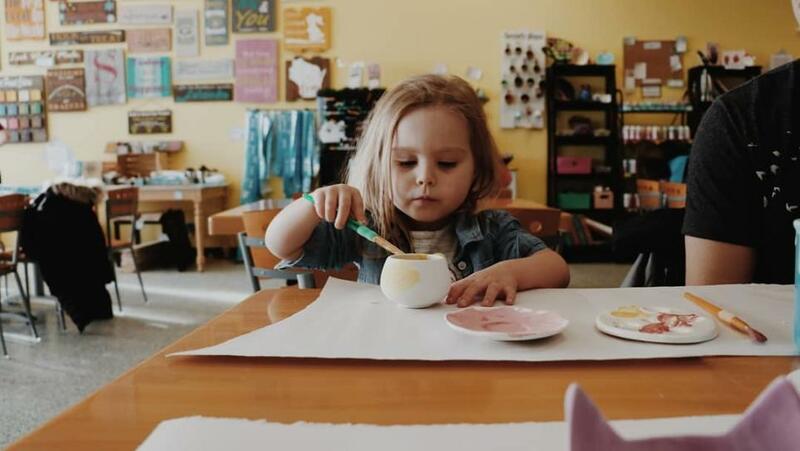 Pottery painting, canvas painting, board arm, and stamped jewelry are part of some of the fun at Clay Corner! For some outdoor fun, be sure to check out Iverson Park. With sledding and snowboard hills, toboggan slides, cross-country ski trails, and an outdoor lighted recreational skating rink, you can&apos;t go wrong at Iverson Park. Have young kids? Iverson has a sledding hill designated for children 6 and under. On the Plover River segment of the Green Circle Trail, try out some cross-country skiing when conditions exist. Other areas of the 27-mile scenic hiking trail are open throughout the winter for fun exploring! Stop at the University Trail that meanders through Schmeeckle Reserve and visit the Schmeeckle Reserve Visitor Center which is the headquarters of the Green Circle Trail for more information on winter activities. For more cross-country skiing check out Standing Rocks County Park which is open on a daily basis throughout the snow season. Downhill skiers? Be sure to check out the slopes at the park that are open every weekend during the snow season. An outdoor venue for art and culture in the Stevens Point Area is the Stevens Point Sculpture Park. Visit the 20-acre park that is always growing and changing for some family fun. Looking for more fun this winter for the kids in the Stevens Point Area? Check out the Museum of Natural History, the Allen F. Blocher Planetarium, and the Arthur J. Pejsa Observatory on the University of Wisconsin - Stevens Point campus. 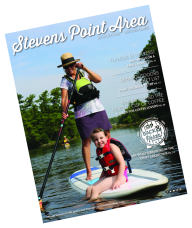 Explore more options for Family Fun in the Stevens Point Area here. Capture your own fun and add your photo, including @stevenspointarea on Instagram or hashtag #stevenspointare and share your favorites of the kids all winter long!